When we plan a trip, I love to research places to eat. 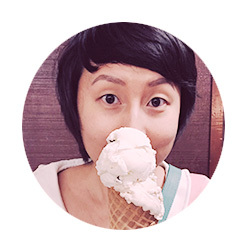 First, I make a spreadsheet in Google Docs and map out an eating itinerary, basically. Then I plot multiple options for every meal, depending on how we might feel once we’re at our destination. Sometimes there’s just not enough time (or meals) in a trip to go to every place I’m interested in. That gives me an excuse to go back! Ross and I went to Portland, Oregon back in April for a long weekend. This blog post is several months overdue, as we ate at several delicious places and the thought of writing one huge entry was daunting. I kept procrastinating. Finally, I decided to break it up into smaller posts for each place. Portland is one of my favorite cities to visit, as it’s basically heaven for vegetarians. I thought Los Angeles was vegetarian-friendly, but LA has nothing on Portland. There were several “must eat” restaurants for this particular trip, one of them being Farm Spirit. 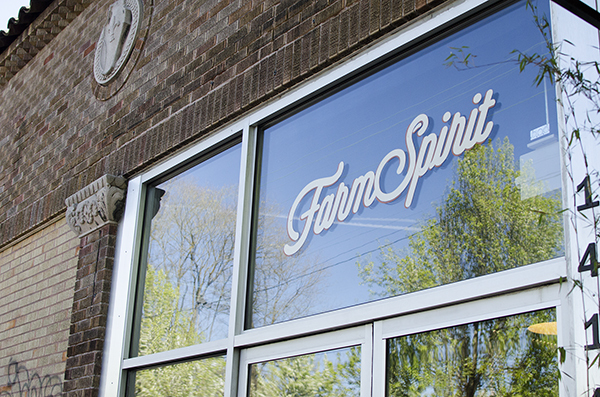 Farm Spirit is a vegan restaurant in Southeast Portland with a seasonal prix fixe menu. The emphasis is hyper-local, with all the ingredients sourced within 100 miles of Portland. Everything in the restaurant is rooted in this local mentality, even the decor, furniture and serving ware. I had read that this was a destination, that every vegetarian or vegan had to go try the food.